Most Americans have heard of Jackie Chan. But did you know he’s worth a bundle? Well, it’s true! Jackie Chan’s net worth is something to behold! The Hong Kong-born movie star has been a part of the movie industry for nearly 60 years. Plus, he has over 200 films under his belt, including several US blockbusters. Jackie Chan is one of the most recognizable stars in the world, and his work continues to influence filmmakers and movie hopefuls from all walks of life. His career isn’t over, either! In fact, Viy 2: Journey to China, in which Jackie Chan has a leading role, is coming out in 2018. After all that work, it shouldn’t surprise anyone that Jackie Chan’s net worth is quite high. How high is it? Here’s what you need to know. Jackie Chan’s net worth is over $390 million. In 2017, he was number five on Forbes’ list of the world’s highest-paid actors. He earned approximately $49 million for roles in Chinese films during the last year alone. Aside from big movie paydays, he also has many royalty arrangements. 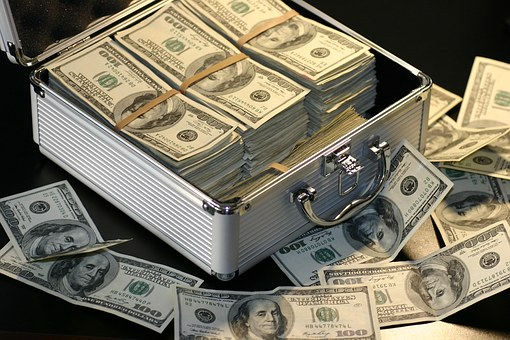 These allow him to profit from projects over the long-term, essentially creating passive income from prior work. Since he began his film career at age 6, his royalties could be quite substantial. Ultimately, not all of Jackie Chan’s net worth is made up of cash funds. He also has numerous assets, including homes in Hong Kong, Beverly Hills, and Canberra, Australia. He also reportedly owns a jet that had an initial purchase value of about $30 million. Jackie Chan is also an active entrepreneur. In fact, he’s launched coffee shops, owned restaurants, and even had a sushi chain. At one point, he owned a Segway dealership in China, too, and had a racing team to his name. While not all of those ended up successes, assets like that also increased Jackie Chan’s net worth. While he has a wife and children, they won’t necessarily inherit all of his fortunes when he passes. Jackie Chan regularly contributes to charitable causes and intends to give half of his wealth away to charities when he dies. While Jackie Chan began his film career in the 1960s, he didn’t break into the US market until the 1980s. The Big Brawl was his first Hollywood film. Then, he was in Cannonball Run, which had a worldwide gross of $100 million. After the failure of The Protector, he went back to Hong Kong, experiencing a reasonable amount of success. It wasn’t until 1995 that Jackie Chan connected with American audiences. Rumble in the Bronx resulted in a cult following. But, it was 1998’s Rush Hour, co-starring with Chris Tucker, that really gave him a foothold in the US. Aside from the Rush Hour sequels, he was also in Shanghai Noon and its sequel, Shanghai Knights, along with numerous other films. Jackie Chan continued to work in both the US and China, including voicing Master Monkey in Kung Fu Panda. One of his more recent US projects was the 2017 action-thriller The Foreigner. He’s also had a few major accomplishments, including a star on the Hong Kong Avenue of Stars and the Hollywood Walk of Fame. His hand and footprints are also immortalized at Grauman’s Chinese Theatre. In the end, his multi-decade career is responsible for his significant net worth, which is likely to grow as he continues working in the film industry. What Does Jackie Chan’s Net Worth Mean to You? Sometimes, it’s hard to see how one person’s net worth relates to you. But, there are always lessons to be learned by successful people. 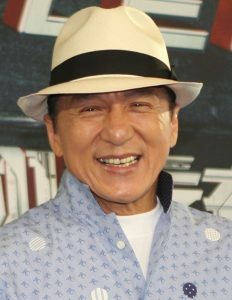 First, Jackie Chan’s net worth was largely generated due to his hard work and diligence. With so many movies under his belt, no one can accuse him of resting on his laurels. Second, he isn’t afraid to diversify. As an entrepreneur and investor, he’s dabbled in a lot of areas, ranging from restaurants to racing. By spreading things out, you protect yourself from risk, which is a serious benefit.